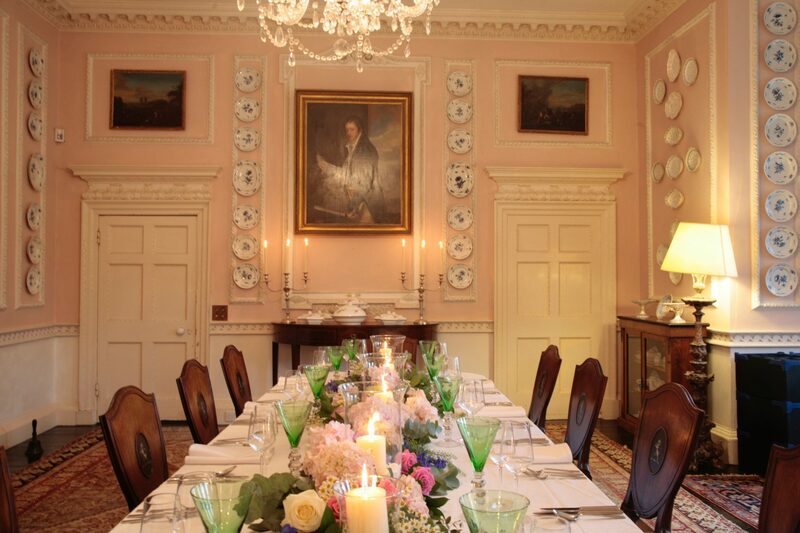 Smedmore House is available for rental for Weekends, Holidays, Corporate events and all types of Celebration – it’s particularly good for multi-generational Big birthday parties and anniversaries. It is let on an exclusive whole-house basis, and sleeps 16 people in 8 double bedrooms. Normally clients want to self-cater but chefs, caterers and extra domestic help can all be arranged if wanted. 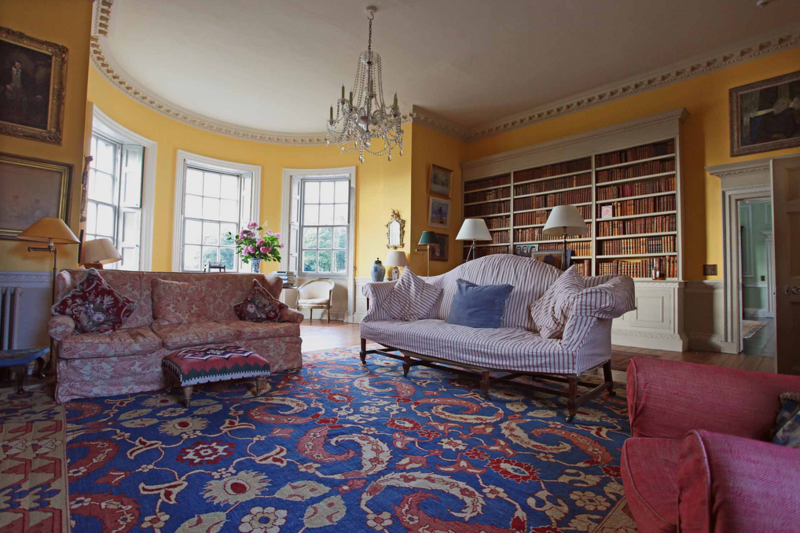 The charm of the house is its age and character, with family sized rooms, panelling, library shelves and antique furnishings, all well lit by large windows. It has the timeless, comfortable atmosphere of a well-loved family home. The furniture in the house has been handed down through the generations and there are Dutch seventeenth-century pictures and ancestral portraits on the walls. The dining room, which seats 20, has eighteenth-century plaster-work and walls hung with over 100 blue Furstenberg plates. 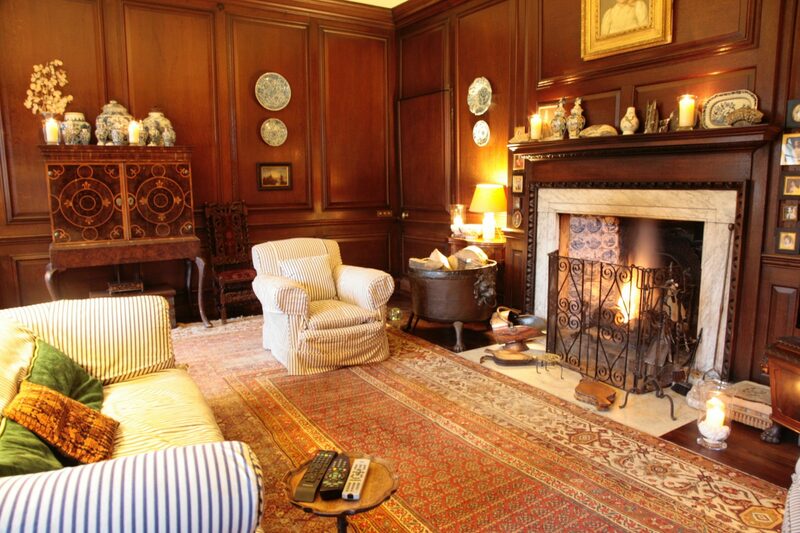 The elegant Drawing Room has an open wood fire while the Cedar Room, for family sitting, has satellite TV and there is broadband in most rooms. 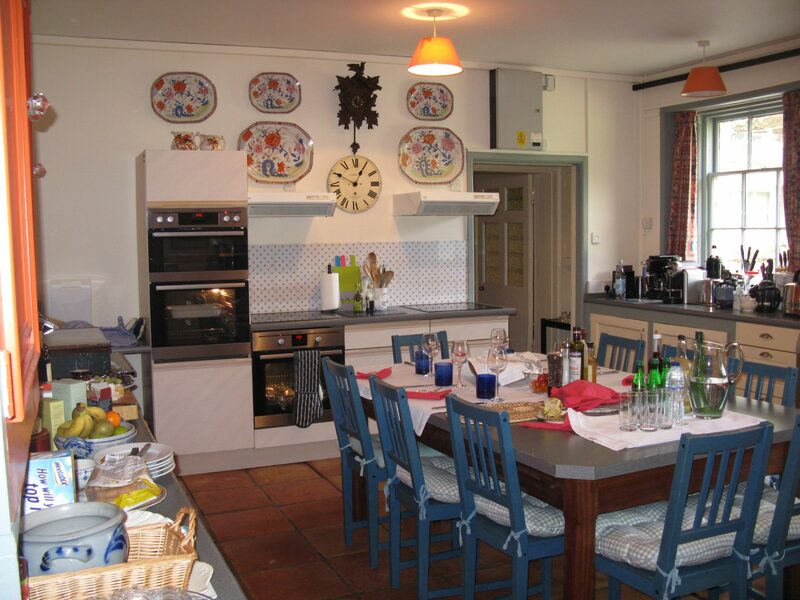 The kitchen is well-equipped with 2 hobs and 2 ovens and can seat 10 for breakfast or other informal meals. The central heating works well and there is also a disabled loo downstairs. The 8 double bedrooms at Smedmore House are comfortably furnished with a good bedroom to bathroom ratio. Many rooms benefit from spectacular views, and offer great flexibility for family groups as several rooms can interconnect. Bedroom One has a large double bed and stunning views through the huge bay window. It is an extremely spacious room with an en-suite bathroom. Bedroom Two is a twin room and overlooks the front of the house with sea views. Bedroom Three was formerly a dressing room, and now contains twin beds with canopy. This room is also connected to Bedroom Two through a door which if requested can be unlocked. Bedroom Four is the Principal Bedroom and used as the Bridal Suite by the wedding clients. It has spectacular views and an enormous King sized bed, with an en-suite bathroom. The entrance vestibule allows external access to the bathroom if required, along with the entrance to Bedroom Three. 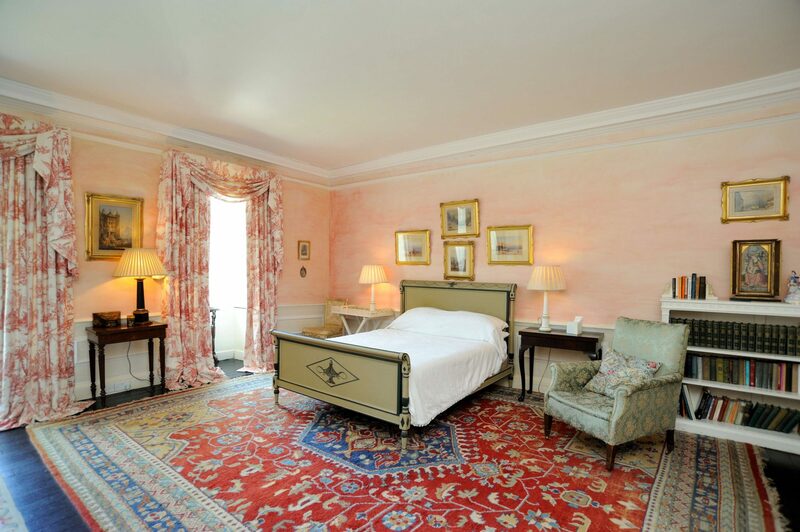 Bedroom Five is decorated in warm tones and has a painted king sized bed, with views over the walled garden. Bedroom Six has a King sized zip and link bed which can be used as either a double or a twin. 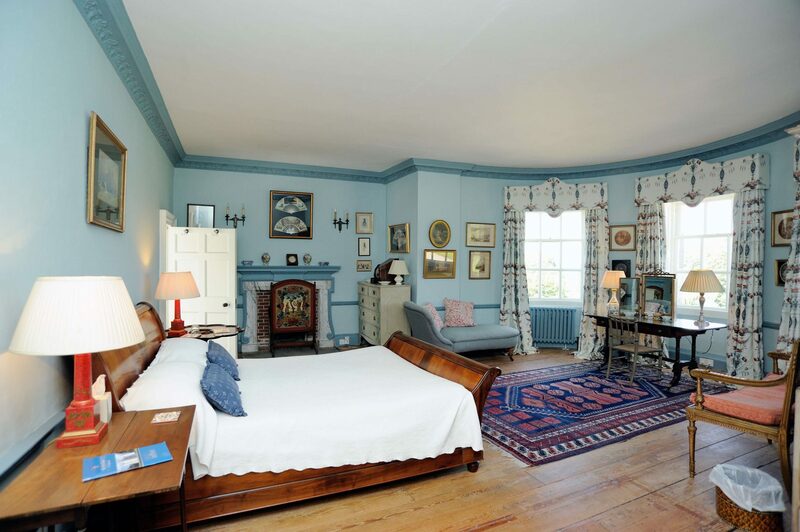 Bedrooms Five and Six share the Blue Bathroom, a huge bathroom in a traditional style with quirky original features. Steps from the landing outside Bedroom Six, lead up to the second floor. Bedroom Seven has two single beds whilst Bedroom Eight has a double bed. They share a large bathroom with both bath and shower. There is also a separate WC. This area is particularly suitable for a family unit who want to be together. Additionally there is a flat available for hire for caterers and other domestic help to stay over. This offers 2 single bedrooms and is a great resource. 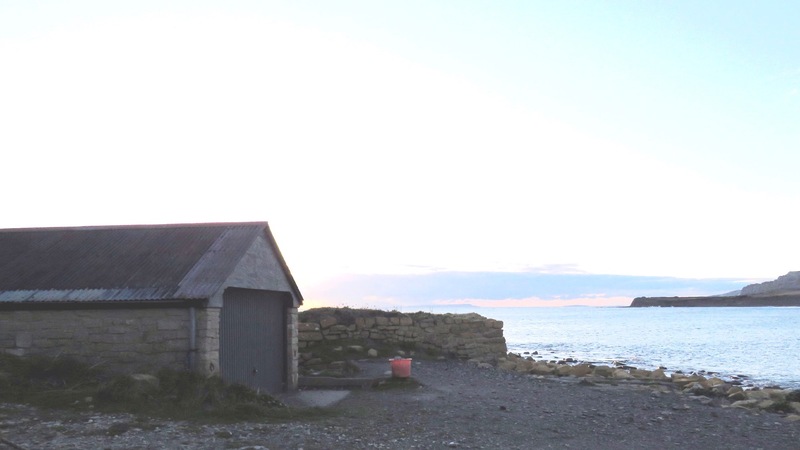 New for 2019: House guests have the additional possibility of renting a Boat House down on the water’s edge in Kimmeridge Bay. Perfect for storing all your beach and water sports equipment – or for just sitting and relaxing while listening to the sound of the water gently lapping on the shore.